Greetings! 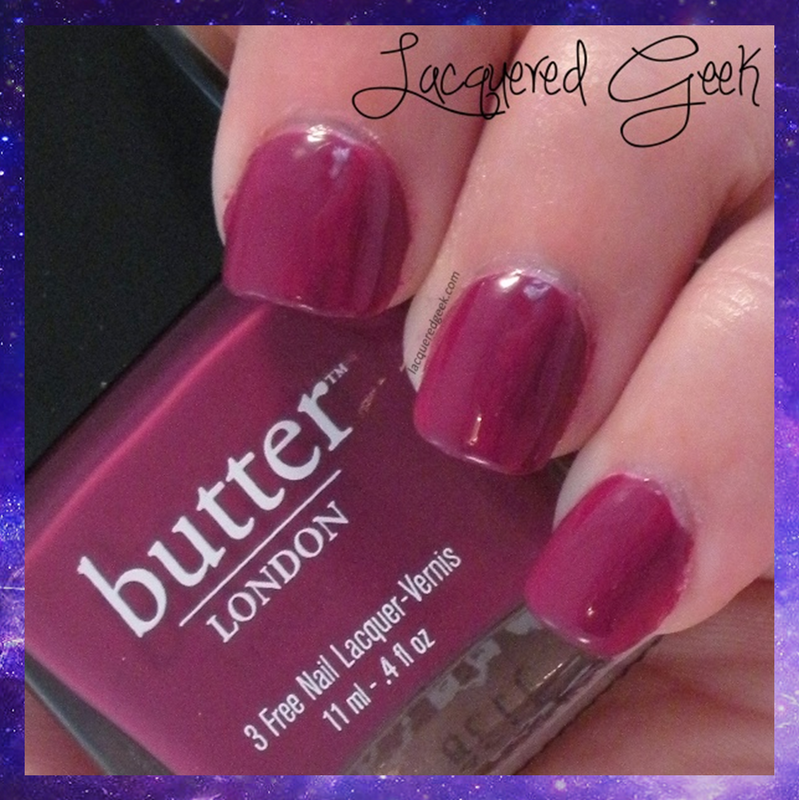 Today I'm sharing what has quickly become one of my favorite creme polishes. A good creme polish isn't hard to find; a lot of companies make good cremes. But it's much harder to find a great creme. And sometimes, when all the stars align, you come across a polish that is unlike all the rest. Perfection in a bottle. 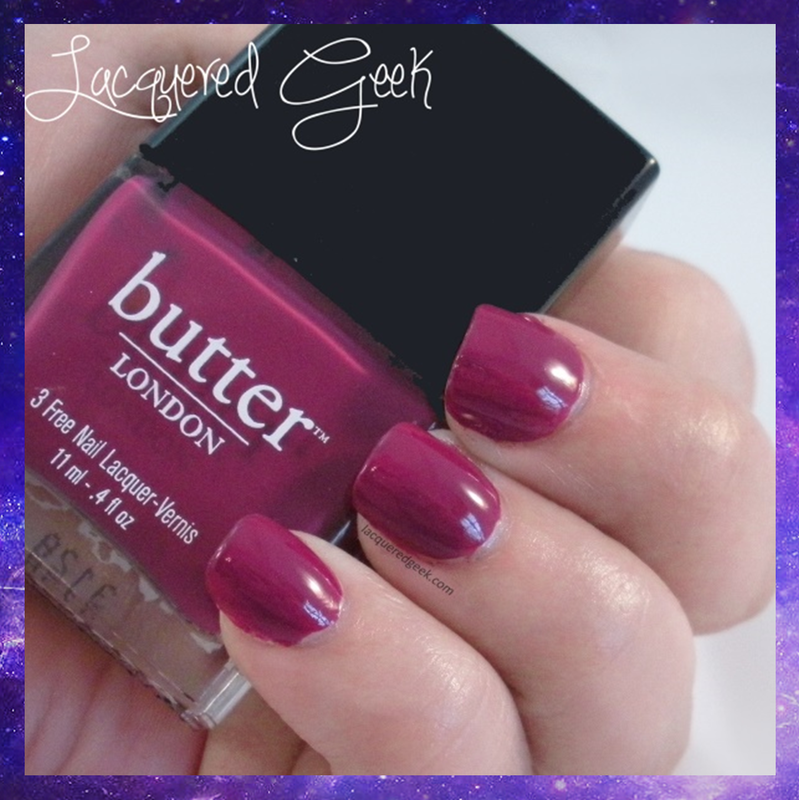 That is how I would describe butter LONDON's Queen Vic. 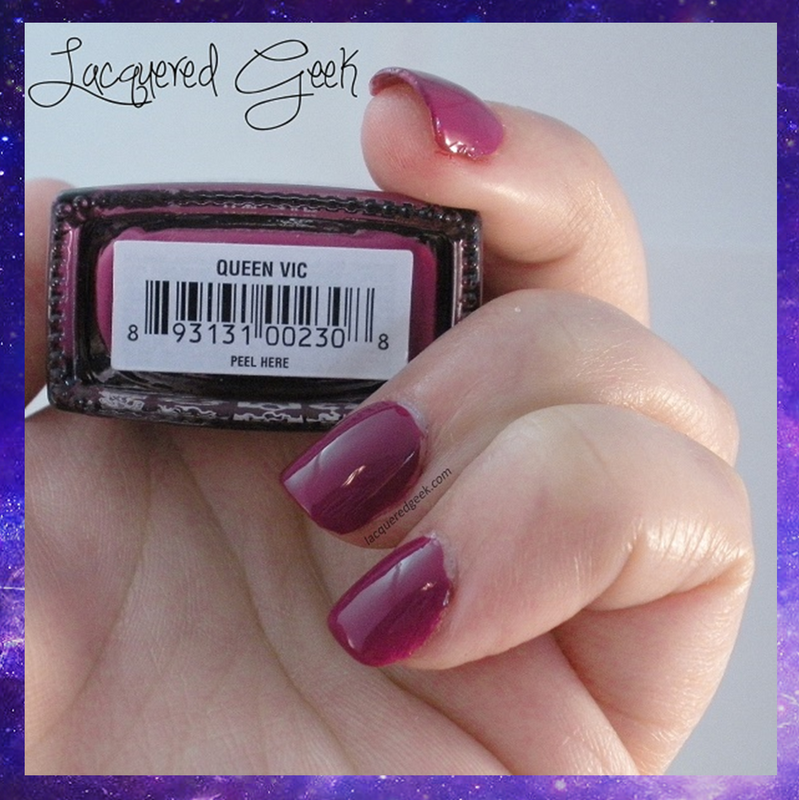 Queen Vic is a gorgeous berry-wine creme that is described by butter LONDON as a "nail lacquer fit for a queen." I'd have to agree. It has an amazing formula. I am wearing 2 coats in these photos with a top coat, but if I'd applied the first coat just a bit thicker, it would have been a one-coater. It dries super shiny. This is one of those all-purpose polishes. Great on its own, in nail art, or as undies for your favorite glitter topper. 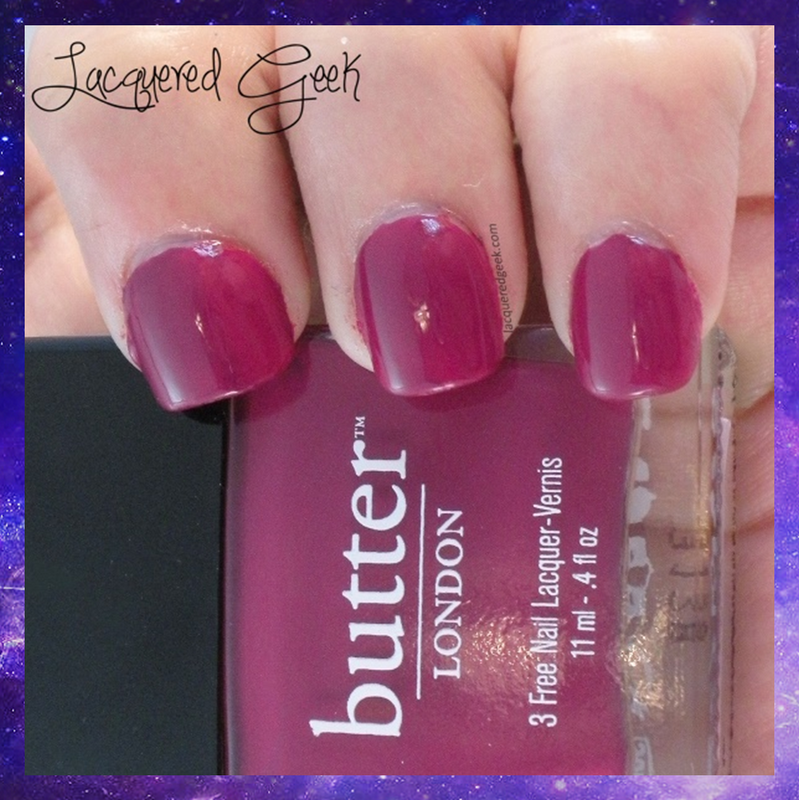 This beauty can be picked up at your local Ulta or online from butter LONDON. What is your favorite creme polish?